With our email, you can keep your Microsoft Outlook. 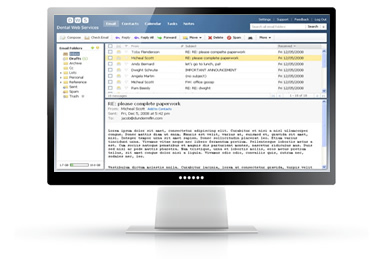 Our secure IMAP access works with most desktop email applications and virtually all versions of Microsoft Outlook. Our easy-to-use email service also features the essential calendaring and contact features your business needs. Use your mobile phone or tablet to send and receive email from any IMAP connection.